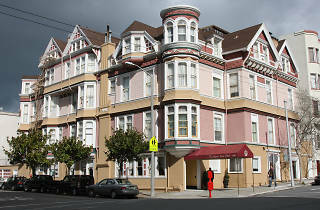 One of the more successful olde-worlde hotel operations in San Francisco, the Queen Anne is, as its name suggests, housed in an extremely handsome old Victorian property. 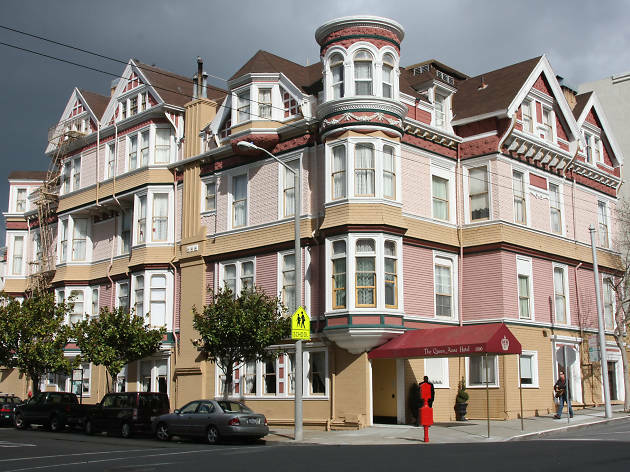 Having begun life as a finishing school for the city's posh young debs (the headmistress, Mary Lake, is rumoured to haunt her former office, now Room 410), it was converted into a hotel in the 1980s. Each of the individually decorated rooms contains Victorian antiques, and the lobby area is a splendid space. Continental breakfast, afternoon tea and sherry, and a weekday morning car service to Downtown are included in the rate; guests receive a discounted rate on day passes to the posh Plaza Athletic Club two blocks away.